If you’re looking for a workout that targets the whole body but doesn’t take the whole afternoon to complete, we’ve got it covered. These exercises are simple and easy-to-learn, but still intense. This is the key to creating a quick and effective workout that covers all the main muscle groups. Old school perhaps, but there’s a good reason why the push up is still one of the most popular exercises. It mainly works the chest, triceps and core. The standard push up also activates almost every muscle in your body. Try to do push ups every day, as many as you can, with good form. First learn how to perfect your push up, then move onto push up variations. Lunges offer a triple-whammy by working the quads, glutes and hamstrings together. They also engage your back and ab muscles which help to stabilise your core and provide balance. See here how to perform the perfect lunge. If you’re already pretty fit then grab some dumbbells to increase the intensity. Or even use a chair or steps to do more advanced lunges. Burpees are the ultimate example of a great full-body exercise which trains endurance and strength at the same time. Each move works your arms, chest, quads, glutes, hamstrings and abs. An intense series of burpees will push your body into high anaerobic range – fantastic training for your heart and lungs! After just a few sets, your muscles start to burn and your body feels like lead. The trick when it gets tough is to keep good form. See here for a complete guide to the burpee. 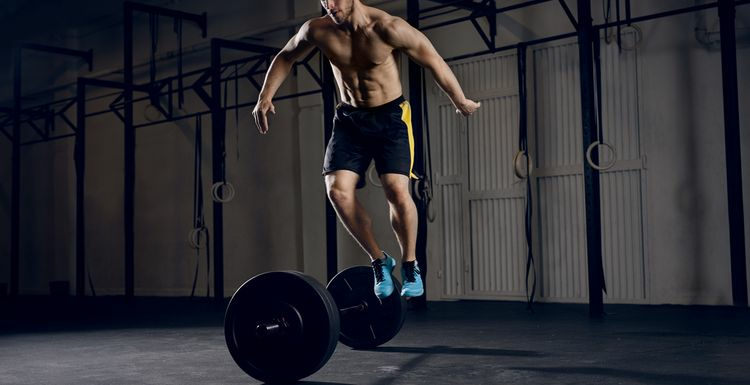 The deadlift is king for building total-body strength and muscle from your top to your toes. Many people are afraid of the move, but as long as you perform the deadlift correctly you will build a stronger posterior chain (muscles on the rear of your body). The goal is simply to lift a weighted bar off the ground and bring it to your thighs. The weight cannot be lifted with any momentum, hence the term ‘dead’, and this movement requires your whole body. That pike roll out looks great. I have an exercise ball at home. Why haven't I seen this exercise before?! burpees - silly name, great exercise, extremely hard work! My go-to when everything is in top form. I've finally found out how the deadlift got its name! And I agree, people keep doing these simple exercises for an equally simple reason - they work. I love the old-fashioned exercises and they are still the ones I go back to again and again. You don't have to think, we all know them well, and they always work, and don't injure me either. What's not to like?